From Executive Briefing Centers to retail storefronts. From print ads to tablet-based digital briefcases. From customizable in-store assets to high-profile corporate videos. 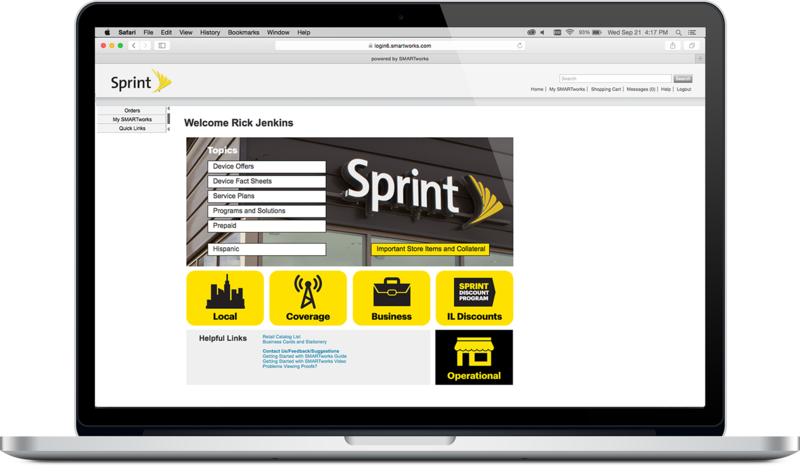 Weber has become a sales and marketing partner with Sprint, helping sales reps sell more – more quickly and more confidently – for over 15 years. Weber has worked with both B2B and retail teams to create tablet-based digital briefcases that allow sales reps to quickly and confidently sell anything from the simplest of consumer mobile contracts, to complex mobile and land-line solutions for international companies. These digital briefcases provide easy access to up-to-date (and customizable) slide shows, videos, and pricing calculators. 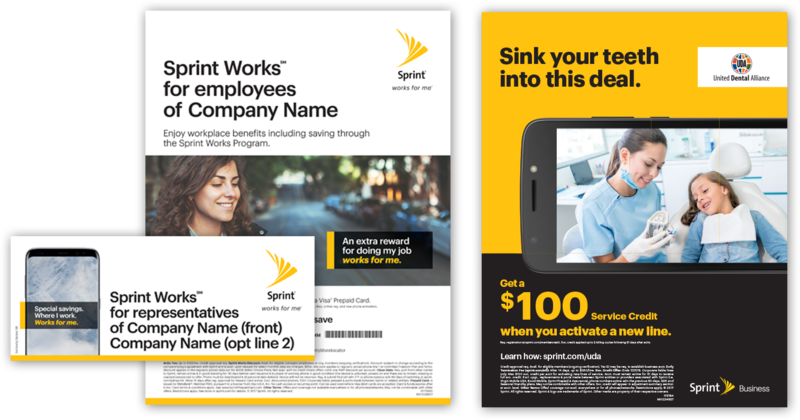 As part of Sprint’s affinity programs, they have some very specific audiences they must reach with equally specific offers. And we make that happen through highly targeted digital marketing campaigns. Mobile carriers have complex, constantly-changing pricing and product offerings. It can be confusing to both customers and reps. And it’s a big part of the consumer skepticism that exists for the entire industry. 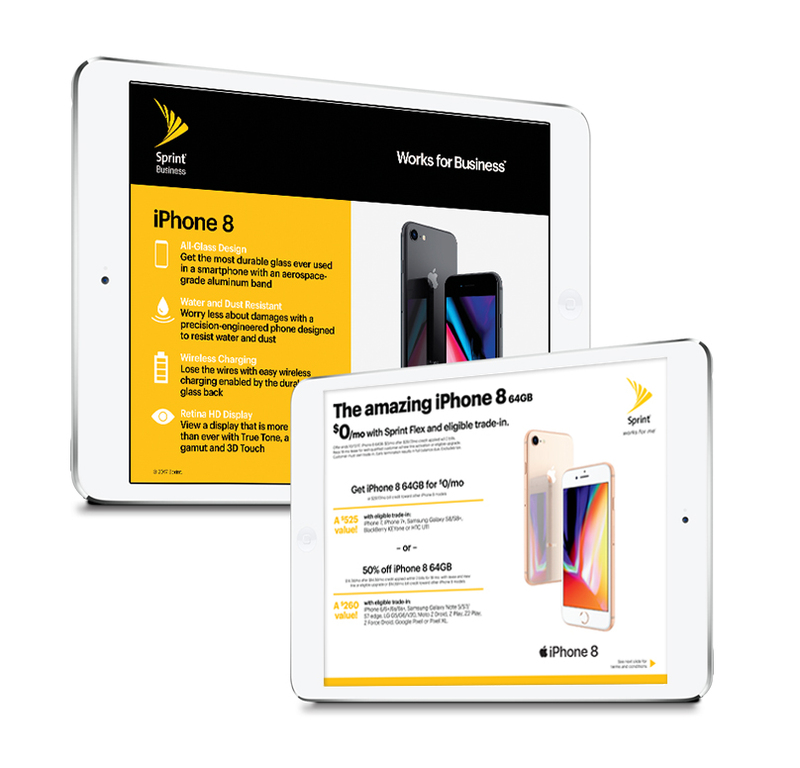 To help build confidence in Sprint and its pricing – and to help reps share pricing information more confidently and quickly – we’ve developed digital estimators, calculators, and comparison tools. The Answers are in the Numbers. By carefully tracking and analyzing salesperson, customer, and competitor data, we are able to continually tweak — and sometimes completely overhaul — marketing and sales tools and campaigns to maximize adoption, effectiveness, and the bottom line. 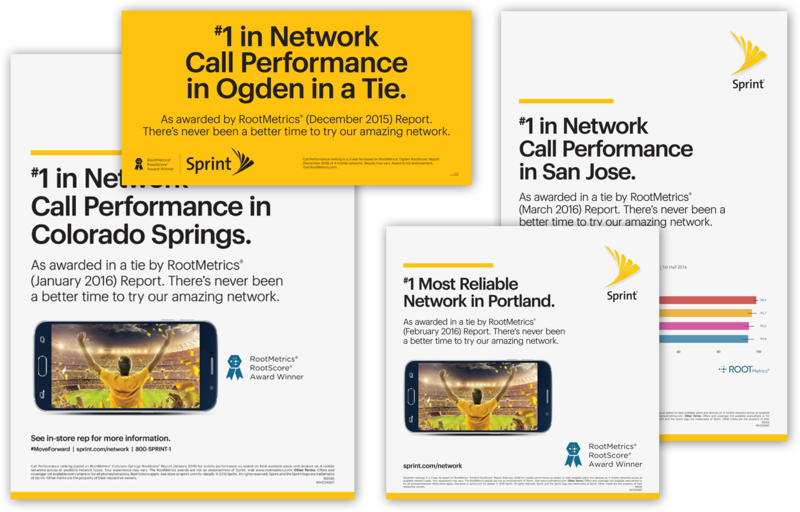 Sprint must constantly find new and more effective ways to reach the hundreds of thousands of individuals who are employed by – or members of – companies, organizations, and associations that have Sprint discount programs. To help reach these people, we’ve created a continually updated library (adding 2,500+ assets each year) of posters, banners, fliers, emails, postcards, payroll stuffers, print ads, banner ads, event kits, promotional items, and more that benefits professionals use to promote discount programs to employees and members.